At the start of the Damage Step, if this card battles a face-up non-WIND monster: You can destroy that monster. When this card is Pendulum Summoned: You can target 1 card your opponent controls; destr..
Each time a "Yosenju" monster(s) is Normal or Special Summoned, place 1 Yosen Counter on this card. You can remove any number of Yosen Counters from this card; apply this effect, depending on the numb.. When a Spell/Trap Card, or monster effect, is activated while you control at least 1 "Yosenju" card, and all face-up monsters you control are "Yosenju" monsters: Negate the activation, and if you do, .. If you Ritual Summon exactly 1 "Nekroz" Ritual Monster with a card effect that requires use of monsters, this card can be used as the entire requirement. If this card is Tributed by a card effect: You.. If this card is Tributed by a card effect: You can add 1 Spellcaster-Type "Nekroz" Ritual Monster from your Deck to your hand. If this card is banished: You can send 1 "Nekroz" monster from your Deck .. If this card is Tributed by a card effect: You can add 1 Dragon-Type "Nekroz" Ritual Monster from your Deck to your hand. If this card is banished: You can target 1 of your banished "Nekroz" monsters,..
You can Ritual Summon this card with any "Nekroz" Ritual Spell Card. Must be Ritual Summoned and cannot be Special Summoned by other ways. You can only use each of these effects of "Nekroz of Clausola..
You can Ritual Summon this card with any "Nekroz" Ritual Spell Card. Must be Ritual Summoned without using "Nekroz of Brionac", and cannot be Special Summoned by other ways. You can only use each of t..
You can Ritual Summon this card with any "Nekroz" Ritual Spell Card. Must be Ritual Summoned without using any Level 9 monsters, and cannot be Special Summoned by other ways. You can only use each of ..
You can Ritual Summon this card with any "Nekroz" Ritual Spell Card. Must be Ritual Summoned and cannot be Special Summoned by other ways. You can discard this card, then target 1 "Nekroz" card in you..
You can Ritual Summon this card with any "Nekroz" Ritual Spell Card. Must be Ritual Summoned without using any Level 8 monsters, and cannot be Special Summoned by other ways. You can only use each of ..
You can Ritual Summon this card with any "Nekroz" Ritual Spell Card. Must be Ritual Summoned without using "Nekroz of Catastor", and cannot be Special Summoned by other ways. You can discard this card..
You can Ritual Summon this card with any "Nekroz" Ritual Spell Card. Must be Ritual Summoned without using any Level 10 monsters, and cannot be Special Summoned by other ways. You can only use each of.. This card can be used to Ritual Summon any "Nekroz" Ritual Monster. Tribute monsters from your hand or field, and/or banish "Nekroz" monsters from your Graveyard, then Ritual Summon 1 "Nekroz" Ritual .. This card can be used to Ritual Summon any number of "Nekroz" Ritual Monsters. Tribute 1 monster from your hand or field, or send 1 monster from your Extra Deck to the Graveyard, also, after that, Rit..
Once per turn, during either player's turn: You can banish 1 "Ritual Beast" card from your Graveyard; for the rest of this turn, all "Ritual Beast" monsters you control will gain 500 ATK and DEF. You ..
Once per turn: You can banish 1 "Ritual Beast" card from your hand, then target 1 card your opponent controls; return it to the hand. 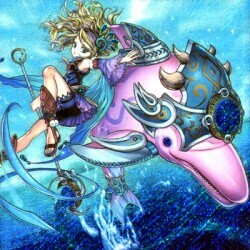 You can only Special Summon "Spiritual Beast Pettlephin(s)" once p..
Once per turn: You can banish 1 "Ritual Beast" card from your Deck, face-up. During your second Standby Phase after this effect's activation, add the card banished by this effect to your hand. You can..
1 "Ritual Beast Tamer" monster + 1 "Spiritual Beast" monster. Must be Special Summoned (from your Extra Deck) by banishing the above cards you control, and cannot be Special Summoned by other ways. (Y..